The original research upon which this preview report is based was conducted by the Foundation Center. 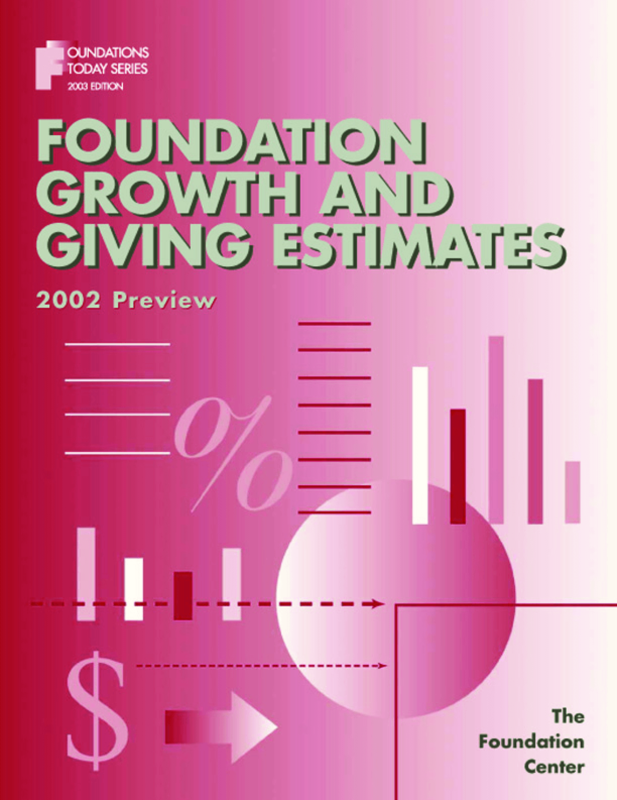 It provides a "first look" at estimates of 2002 giving and directions for 2003 giving together with actual aggregate 2001 giving and assets data for nearly 62,000 grantmaking foundations tracked by the Foundation Center. Giving estimates for 2002 are based on figures reported by 762 large and mid-size independent, corporate, and community foundations in the Foundation Center's 2003 "Foundation Giving Forecast Survey" combined with year-end fiscal indicators. Survey respondents accounted for 34.2 percent of total estimated giving by independent, corporate, and community foundations in 2002. By foundation type, the share of estimated 2002 giving was higher for the 95 community foundation respondents in the set (45.2 percent), roughly equal for the 577 independent foundation respondents (34.7 percent), and lower for the 90 corporate foundation respondents (23.3 percent). The assessment of prospects for 2003 giving was based on information reported in the survey by 747 foundations, including 566 independent, 88 corporate, and 93 community foundations. Actual 2001 giving and asset figures are taken from the Foundation Center's annual surveys of larger private and community foundations, foundation Web sites, annual reports and other foundation publications, and the IRS Form 990-PF information return. We thank the many foundations that participate in the Foundation Center's annual surveys, providing more detailed information not otherwise available.